Often we hire for skill yet fire for behavior. This is because we tend to measure skills on qualifications, years of experience, achievements and organisations worked at. Just because one person thrived in a role does not mean they will thrive in a new role as the environment and team dynamics will contribute to the way someone behaves. It’s far easier to teach someone skills than it is to try and teach them the behavior you need. Taking charge of your own personal development is key to your progress in life. Many times people will wait for their employer to send them on training courses or programs so that they can progress from a career perspective but what about in your personal life? Often we think about development in the context of some kind of formal studies or qualification but self-development is much more than academic. It is about truly knowing yourself, what you stand for, what your values are, what your faith or belief systems are and how you are living these each day through your thoughts, actions and behaviour, both personally and in the workplace. Unfortunately personal development is not a subject taught at school or university. It begins in our early formative years and only really comes into play in our adulthood, particularly when we step into the working world. It's what we commonly know as EQ or emotional intelligence. Why is this important? Well, our EQ helps us manage our own emotional state as well as that of others (i.e our SQ or social intelligence). So in essence, EQ is all the internal, individual work we do on developing our own self-awareness and then how we use that information outwards determines our SQ. How we relate with others, what we are experiencing internally and how we are allowing the other person or situation to impact us, in other words how we are reacting in that moment. Personal development is key and should be an ongoing focus as every situation we find ourselves in is an opportunity to learn, grow and develop. It helps us self-regulate our own emotional state and reactivity. It helps us understand our own emotions and emotional triggers. This helps us manage various situations such as conflict, working with and leading others. There are various ways you can advance your self-development such as reading, working with a professional such as a coach, having mentors or role-models you can tap into, formal studies and a range of assessments (e.g. psychometric assessments etc). As a leader, how do you know you are hiring the right person for the job? How do you know which individuals to identify for succession planning and talent retention? How can you as a leader understand your employees core competencies and development areas? Did you know that a Body Parts Maker is one of the top predicted jobs of 2030? Sounds crazy right but when you think about robotics and how science and technology are improving each day, it won't be long before amputees walking around with robotic limbs will be the norm. Scientists are also predicting that by the year 2080 we could be living up to 150-200yrs of age! Are you ready for the jobs of the future? Do you know what skills you will need? 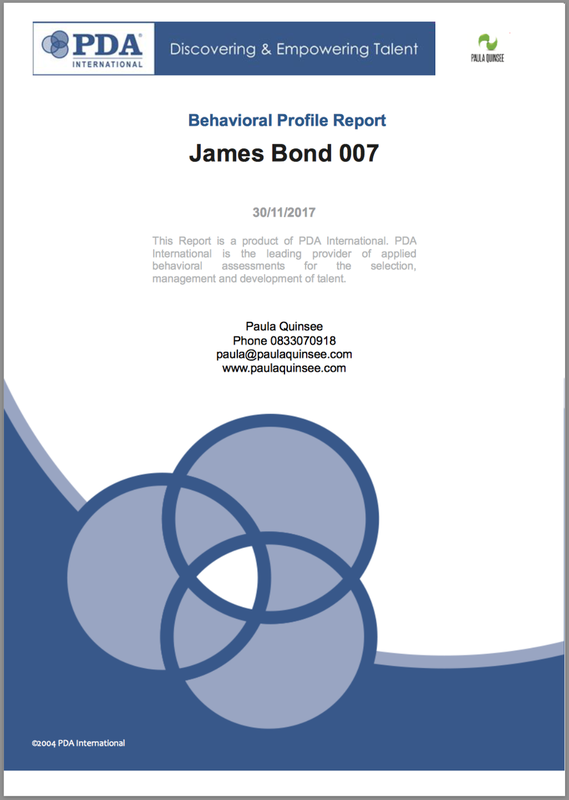 If personal development is something you are interested in for yourself in your personal capacity or from a career perspective, the Personal Development Assessment (PDA) is an ideal option for individuals or teams and provides insights into your core behaviour competencies and development areas. It is a quick online assessment that provides you with a wealth of insights you can utilise for developing yourself, your teams and your organization as a whole. Don't leave your destiny in someone else's hands, take charge of your own destiny today. 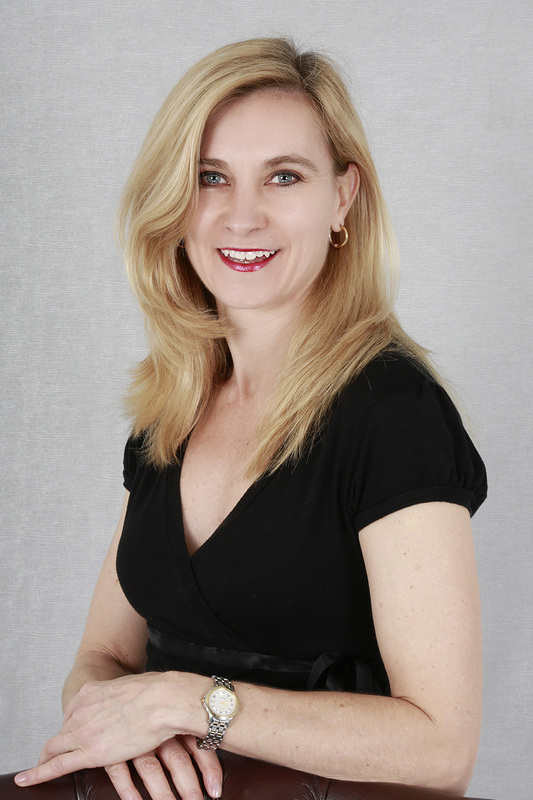 Paula Quinsee is a Relationship Expert, Tedx speaker and author of Embracing Conflict. She works with individuals and organisations to cultivate healthy relationships in both their personal and professional arenas by focusing on personal growth and development, emotional skills, behaviour profiling and more. Go to www.paulaquinsee.com for more info.